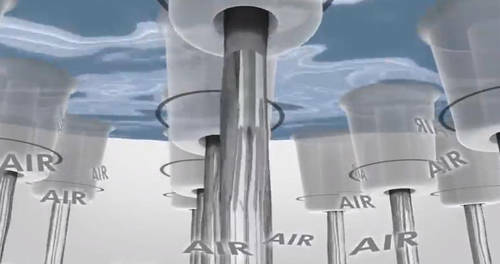 Hansgrohe > Raindance Select S 240 2 Jet Showerpipe Pack (Chrome). 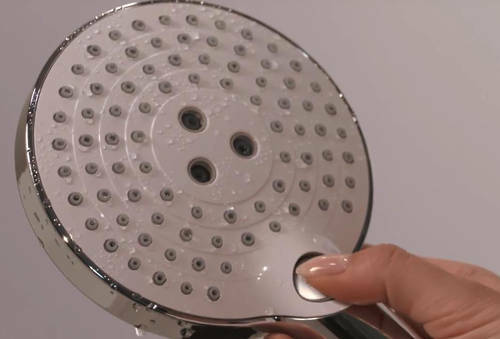 Hansgrohe Raindance Select S 240 2 jet Showerpipe shower pack in chrome. 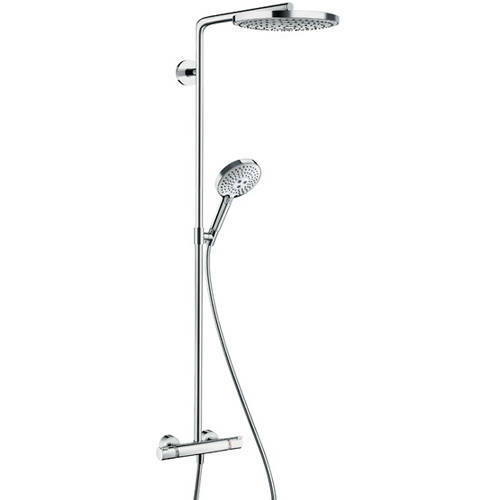 With thermostatic valve, riser rail, head, handset and hose. Adjustable height handset holder included. 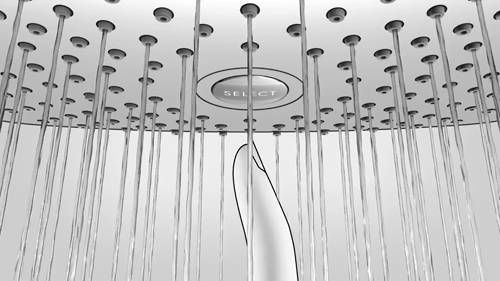 Raindance S 240 RainAir & Rain overhead shower (rain jet enriched with air, 240mm). 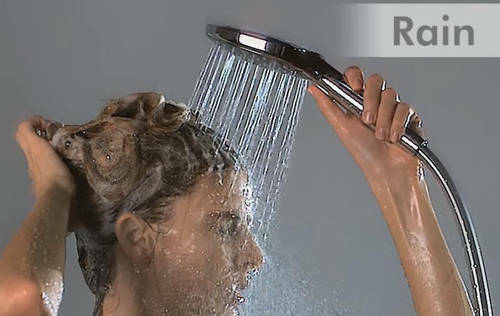 Shower arm length: 460 mm. Design: Award winning handset 2014.